Businesses are built on ideas. In the beginning, someone has an idea for a new product or service, or a better way of delivering an old one. They build a team and share ideas about how to implement the company’s strategy and achieve growth. The path from founding to success is covered with ideas. Organizations without a clear method of idea management risk missing some of the best ones or not executing them quickly and effectively. Here are 5 approaches that help businesses take full advantage of idea management. Without providing a structure for capturing, tracking and measuring the impact of ideas, management is virtually impossible. Email exchanges or bullet points on a whiteboard are not sufficient tools for capturing the best ideas and opportunities and ensuring that they are fully explored. The structure does not need to be complicated, but automation can go a long way to making an idea management initiative effective. The ability to recognize a problem and recommend a potential solution is not limited to the C-suit. Employees at every level of an organization can contribute insight into issues faced by the company and its customers. In fact, front-line employees are often in the best position to understand how change will impact the situation on the ground. Idea management must encompass as large a cross section of the organization as possible to have the most meaningful results. 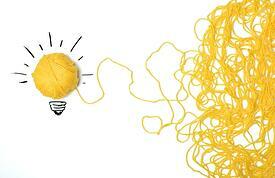 Gathering ideas is the first step to idea management, but by no means the last. The idea management structure needs to include tools that assign responsibility, invite collaboration, track progress, and measure the success of each idea selected for implementation. They allow leaders to examine the best practices for initiating change and bring a critical eye to approaches that don’t work as well. Recognition of achievement is an important aspect of idea management. Employees who feel valued and rewarded for their efforts to help the company improve are more likely to remain engaged and contribute further to the company’s success. Idea management is not implemented just for the sake of it. It is important to be able to measure the return on each idea. Often the return is financial, but other times it can be measured in an improvement in customer satisfaction or employee happiness and retention. Tools should be in place to measure the ROI for each implemented idea. Businesses are built on ideas. They also improve and grow based on applying new and better ideas. With some careful thought, idea management can boost the fortunes of any organization.